Alexander Crombie (1762-1840) was born in Aberdeen and originally trained for the ministry, before running a private school and writing on such diverse topics as philosophy, education and Latin grammar. 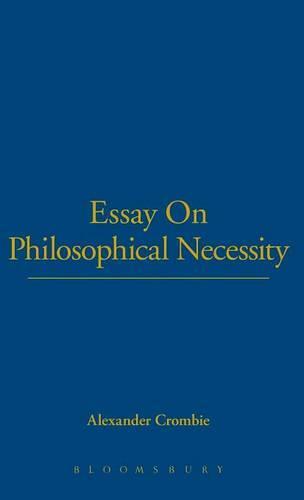 In his first published work, An Essay on Philosophical Necessity (1793), he defends the determinism of Priestley and Hume and attacks the libertarian views of Price, Reid and James Gregory. He returns to this theme in Letters from Dr. James Gregory...with Replies (1819), also published by Thoemmes Press.